The DOH tapped Pacquiao in urging parents and guardians to bring their children aged six to 59 months to health centers for free measles vaccination. MANILA, Philippines — The Department of Health (DOH) has launched an infomercial featuring boxing champion and Sen. Manny Pacquiao to reduce the number of measles cases after the disease claimed the lives of 136 children from January to Feb. 16 this year. The public service announcement dubbed “Knock out tigdas (measles)” features Pacquiao and Health Secretary Francisco Duque III. “Sa boxing sagot ko kayo. Pero sa laban sa tigdas, dapat magkasama tayo (In boxing, I have your back. But in the fight against measles, we have to be together),” Pacquaio said in the video. Duque said anti-measles vaccines are available at government health centers nationwide. He said immunization is the best strategy to combat measles, which is a highly contagious disease. Vitamin A supplement and oral polio vaccines are also given to children, according to Duque. DOH data showed that a total of 8,443 measles cases, with 136 deaths, were recorded from January to Feb 16. Forty percent of the deaths belonged to the age group one to four years. The Philippine Red Cross (PRC) administered anti-measles vaccines to 1,307 children at the Baseco compound in Manila in the first phase of its community-based measles control program over the weekend. The PRC deployed 250 volunteers composed of doctors, nurses, health workers and logistics assistants to conduct house-to-house vaccination and station-based operations at the Corazon Aquino health center, in partnership with the International Federation of Red Cross and Red Crescent Societies. PRC chairman and Sen. Richard Gordon said the vaccination drive was in support of the government’s efforts to contain the measles outbreak. “We don’t stop at providing logistics support in overcrowded hospitals. We are working with the DOH and local governments to immunize the children against measles,” Gordon said. “We are planning to do this regularly to fill the immunization gap,” he added. Hot meals were also served to the parents and children who participated in the program. 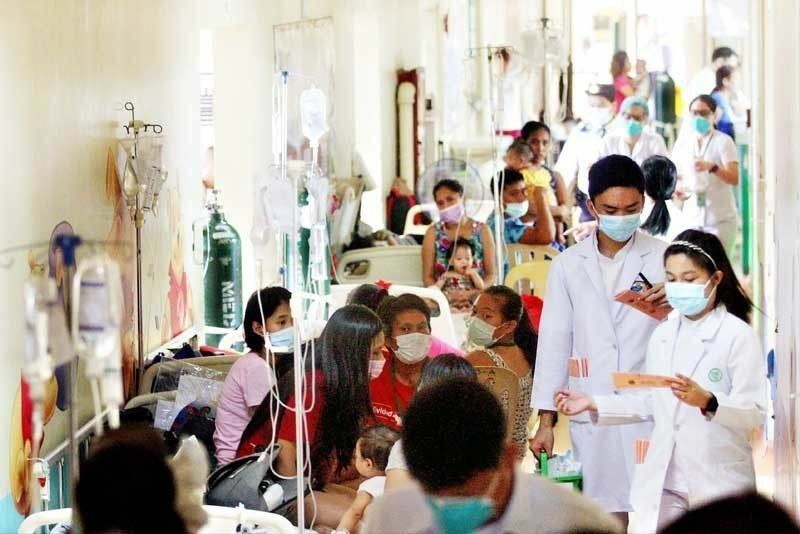 The PRC has installed measles care units or outdoor wards at the San Lazaro Hospital and Philippine General Hospital in Manila, Amang Rodriguez Memorial Medical Center in Marikina, Cainta Municipal Hospital in Rizal and Quirino Memorial Medical Center in Quezon City.